Address: Lough Gur Development, Co-Operative Society Ltd, Lough Gur, Patrickswell, Co. Limerick. Here is a short video of Lough Gur National School taking part in Lough Gur’s NEW Discover Primary Science & Maths tour accredited by Science Foundation Ireland. 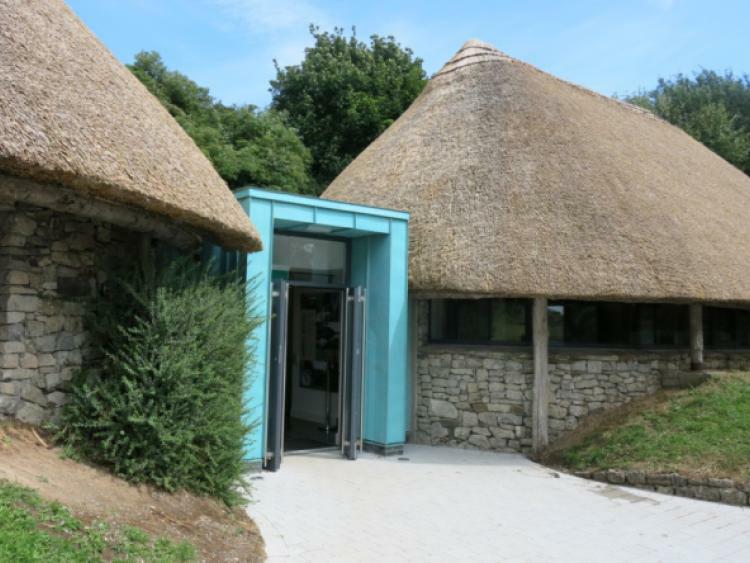 Visitors to the Heritage Centre can find out about the rich heritage of Lough Gur by visiting the interactive multimedia exhibition that brings to life over 8,000 of archaeology and history. What is the exhibition at the Heritage Centre about? Prehistoric Pottery – Archaeological excavations at Lough Gur frequently reveal pottery fragments dating from the Neolithic and Bronze Age. Prehistoric people made pottery vessels for a wide range of uses, including cooking, storage and sometimes as grave goods to accompany burials. Bronze Age – Metallurgy (the process of extracting metal from its ores and smelting it) began to appear during the Bronze Age. The most famous metal object to be discovered at Lough Gur is the Lough Gur Bronze Shield. Many metal objects dating from this period have been found in the lake. They may have been deposited there for ritual purposes, but we can never know for sure. Lough Gur is famous within the Irish archaeological community as Seán P O’Ri­ordáin’s work excavating its Neolithic archaeology was seminal. However there is a long history of antiquarians visiting Lough Gur, and interest was at a peek when the lake level was lowered in the 19th century as part of a drainage scheme. This revealed many artefacts in the lakebed, including the Lough Gur Shield. Some archaeological sites at Lough Gur have revealed evidence dating from several different eras. Archaeologists look at how the archaeology is layered, or stratified, to pinpoint its date. saffron robes of the Irish when they returned to Lough Gur Castle in 1573 after escaping imprisonment in Dublin. The children’s costumes represent the clothing of less well-off Irish (adults) of the sixteenth century (i.e. 1500’s). Desmond – What’s in a name? FitzMaurice’s grandson, John FitzThomas Fitzgerald, was granted the lands of Deices and Desmond and the title of Baron Desmond by Prince Edward, son of King Henry III, in 1259. Maurice Fitzgerald became the first Earl of Desmond in 1329. Now established as a major force within Munster, the family would play an important role in the province for centuries to come. Below Lord Edward FitzGerald (1763-1798). In 1579, Gerald FitzGerald, Earl of Desmond, was killed and his confiscated lands were parcelled out to English settlers during the Plantation of Munster. Lough Gur itself was granted to Sir George Bourchier. The Bourchier family owned the castle at Lough Gur until the end of the seventeenth century (1600’s). 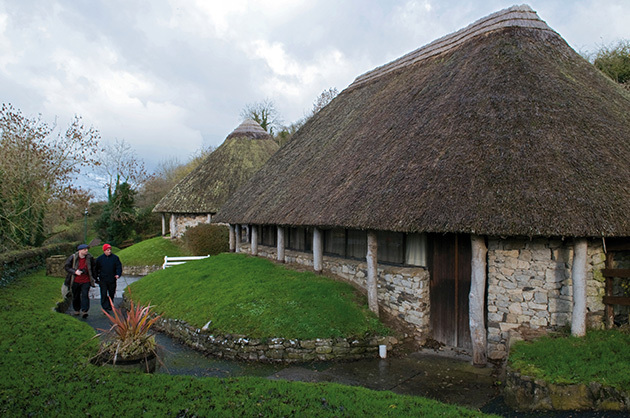 Lough Gur has a rich folklore tradition, which features a mix of historical fact and more ancient mythology. It frequently contains references to historical figures (such as the Earls of Desmond), but these are often combined with mythical deities (such as Áine). The folklore tradition of the area is heavily reflected in the historical novel, The Farm by Lough Gur, which was written by Lady Carbery from the recollections of Mary Fogarty nice O’Brien, gives us a vivid account of the lives of a prosperous Catholic farming family in the decades following the Great Famine. Facilities at the Heritage Centre?